It's been a rough year for stocks. The S&P 500 is set to finish 2015 in the red, barring a Santa Claus rally between Christmas and New Year's. Last year, the top six stocks gained over 75%. This year only three stocks crossed that mark. But some stocks were still studs. Netflix (NFLX) tops the list of stocks with the best returns in the S&P 500 in 2015 based on their performance as of December 22, 2015. Despite slowing U.S. subscriber growth, Netflix still beat all 500 stocks in the index this year. It's a hot stock for all types of investors. Billionaire George Soros bought 300,000 shares of Netflix this year. Mutual funds Fidelity, BlackRock and Vanguard also scooped up more Netflix stock this year. 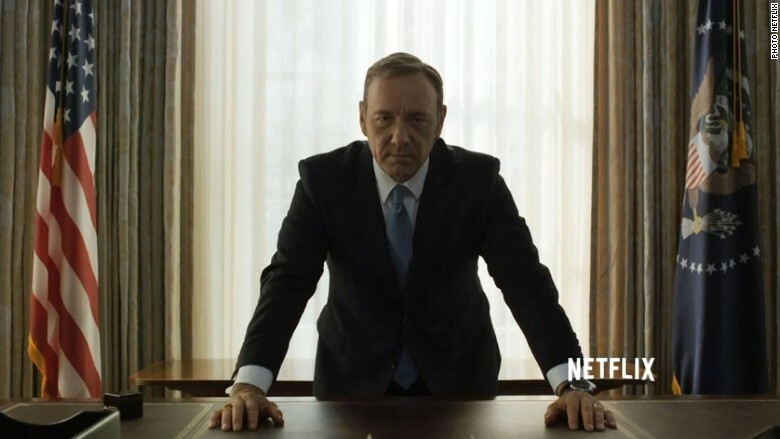 And if Frank Underwood has anything to say about Netflix's performance next year, it could climb even higher.